Janice Wang serves as Director of the Adult Cystic Fibrosis Program and is Assistant Professor at the Zucker School of Medicine. Her clinical time is dedicated to in-patient pulmonary and critical care medicine as well as to the Department’s out-patient specialty practice encompassing adult cystic fibrosis (CF) care, as well as pulmonary and sleep medicine. 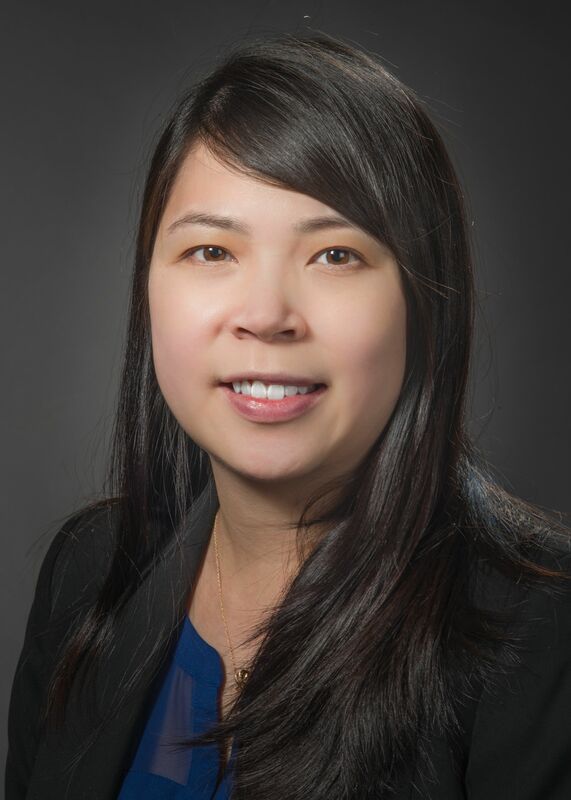 Dr. Wang graduated from Sophie Davis School of Biomedical Education, a 7-year program where she earned her Bachelor of Science degree from City College of New York and M.D. degree from SUNY Downstate, Brooklyn, New York. She completed her Internal Medicine residency training and Pulmonary, Critical Care & Sleep Medicine fellowships at Northwell Health and the Zucker School of Medicine. Dr. Wang’s research interests include CF pharmaceutical research trials investigating new medicines targeting the abnormal Cystic Fibrosis Transmembrane Conductance Regulator protein responsible for the clinical manifestations of CF as well as antibiotic and airway clearance therapies for CF related lung disease. She is involved in a study focusing on advanced care planning in CF patients with severe disease and also hopes to initiate a web-based educational and support group, which is strongly desired in the CF community as infection control guidelines prohibit CF patients from being in close contact with each other. Additional interests include the medical rapid response system utilized when hospitalized patients are in need of critical care and the impact of a circadian lighting system on delirium in the medical intensive care unit. Dr. Wang has worked closely with the Cohen Children’s Hospital Pediatric Cystic Fibrosis Center as part of the OneCF Learning and Leadership Collaborative led by the Dartmouth Institute Microsystem Academy. This quality improvement project aimed to improve the transfer process of pediatric cystic fibrosis patients transitioning to the Adult CF Center. Morgenstern M, Wang J, Beatty N, Batemarco T, Sica A, Greenberg H. “Obstructive sleep apnea. An unexpected cause of insulin resistance and diabetes.” Endocrinol Metab Clin N Am. 2014. (43):187-204. Wang, J, Su M. “Evidence-Based Toxicology: What role might octreotide play in treating diabetic patients with sepsis and hypoglycemia?” ACEP Toxicology Newsletter. 2013 Sept.
Wang J, Lakticova V, McCabe A, Amitrano B, Rosen L, Cohen R. “Critical Care Nurses’ Perception of Time Spent at Rapid Responses.” Ann Am Thorac Soc. 2013 Jun;10(3):228-34. Wang J, Greenberg H. “Sleep and the ICU.” Criti Care. The Open Critical Care Medicine Journal. 2013(6). Wang J, Greenberg H. “Status Cataplecticus Precipitated by Abrupt Withdrawal of Venlafaxine.” J Clin Sleep Med. 2013 Jul 15;9(7):715-6. Chandra S, Sica AL, Wang J, Lakticova V, Greenberg HE. “Respiratory Effort Related Arousals Contribute To Sympathetic Modulation of Heart Rate Variability.” Sleep Breath. 2013 Feb 18. Epub ahead of print. Wang J, Chichra A, Koenig S. Epub 2011 Nov 20. “A 72-Year-Old Man With Hypercapneic Respiratory Failure.” Clin Med Insights Circ Respir Pulm Med. 2011;5:81-5. Wang J, Sadoughi A, Dedopoulos S, Talwar A. April 2011; “Pulmonary Arterial Hypertension as the Initial Presenting Feature of Sclerosis Sine Scleroderma.” Chest, 139:958-961. Chang E, Jacoby S, Wang J, Aghalar J, Hussain R, Pekmezaris R, Wolf-Klein GP. April 2009. “Mandatory Cognitive Screening in Hospitalized Elderly People: Are We Missing the Diagnosis?” Journal of the American Geriatrics Society. 2009 Apr;57(4):746-7.